The Council provides mini-grants of up to $1000 for educators and community leaders working to expand Holocaust education throughout their classrooms and communities. The aims of the grant projects must coincide with the mission of the Council to commemorate SC survivors and concentration camp liberators and to promote Holocaust education. 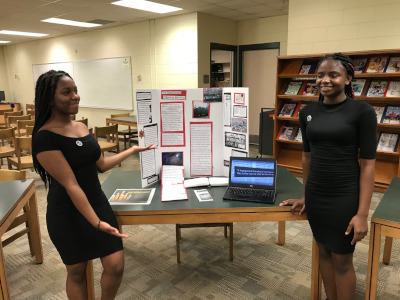 The most successful grant applications are those for Holocaust books or materials, school or community commemoration programs, guest speakers, teacher professional development, or awareness-raising events. K-12 South Carolina educators in all subjects are encouraged to apply. The Council will also consider grant applications from organizations and university programs, but these funds are limited. IIf you have questions after reviewing the Guidance Sheet and Grant Application documents, please don’t hesitate to contact the Council for advice. We look forward to supporting your projects and thank you for your dedication to Holocaust education in South Carolina! There are many resources to help support the teaching and learning of the Holocaust throughout the state. Most are done with SC educational standards in mind. The Columbia Holocaust Education Commission operates through the Columbia Jewish Federation. 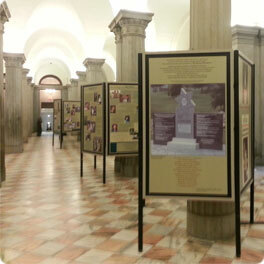 It was established in June 2001 to design and oversee the Holocaust memorial located in Memorial park in Columbia, SC. The Commission provides a traveling Holocaust exhibition, “Holocaust Remembered,” which can be booked by schools and organizations throughout the state free of charge. They also provide grants to educators and organizations throughout the state. For more information, contact Cheryl Nail, 803.787.2023. Through the School of Education at the University of South Carolina, the Anne Frank House in Amsterdam offers educators in the South three different traveling exhibitions as well as workshop options that can be conducted with students at your school. The exhibitions and workshops focus on the history of Anne Frank during the Holocaust, as well as important themes, such as human rights. For more information, Contact: Morgan Bailey, Traveling Exhibition Manager, annefranksc@gmail.com. Historic Columbia offers a variety of education programs for student, youth groups, and adults about Jewish life in the state. 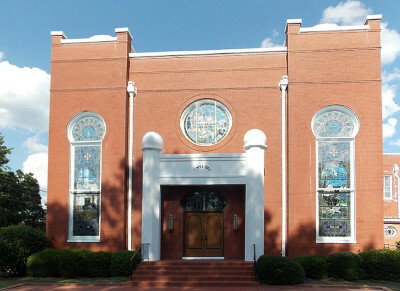 They have partnered with the College of Charleston’s Jewish Heritage Collection, The Jewish Community Center and Columbia Jewish Federation, the Jewish Historical Society of South Carolina, and Richland Library, to establish the Columbia Jewish Heritage Initiative. This initiative documents, provides access to, and promotes awareness of local Jewish history. They offer Jewish heritage walking tours, oral testimonies of local Jewish residents,traveling trunks with information about the effects of WWII on the homefront (LINK), and a blog about Southern Jewish food, Kugel and Collards. For more information, contact their education department, 803.252.1770 x 26, education@historiccolumbia.org. Trace the events of the Holocaust through the testimony of survivors who settled in South Carolina in the Seared Souls: South Carolina Voices on the Holocaust oral testimony collection compiled through a partnership with ETV, SCCH, and the SC Department of Education. Interviews are combined with dramatic archival footage for a powerful and moving record of the inhumanity that was experienced during the Holocaust. Produced, written, and directed by Rich Panter, this program was nominated for a regional Emmy award. The CJF Remember Program serves the Charleston area with a number of resources and events. They offer teacher training workshops, a speakers bureau with local survivors (link), an annual arts and literature competition for middle and high school students (link), and resources for education. For more information contact Rebecca Engel, RebeccaL@jewishcharleston.org, 843-614-6484. In order to have an impact on Holocaust education on a national scale, the JFR established the Holocaust Centers of Excellence Program in the spring of 2000. Through the program, the JFR has formed partnerships with selected Holocaust centers across the country, and in so doing, has invested in the disparate communities in which the centers are located. There are currently thirteen participating centers. They are listed below. Pictured here are several of the center directors at the 2004 annual conference of the Association of Holocaust Organizations. 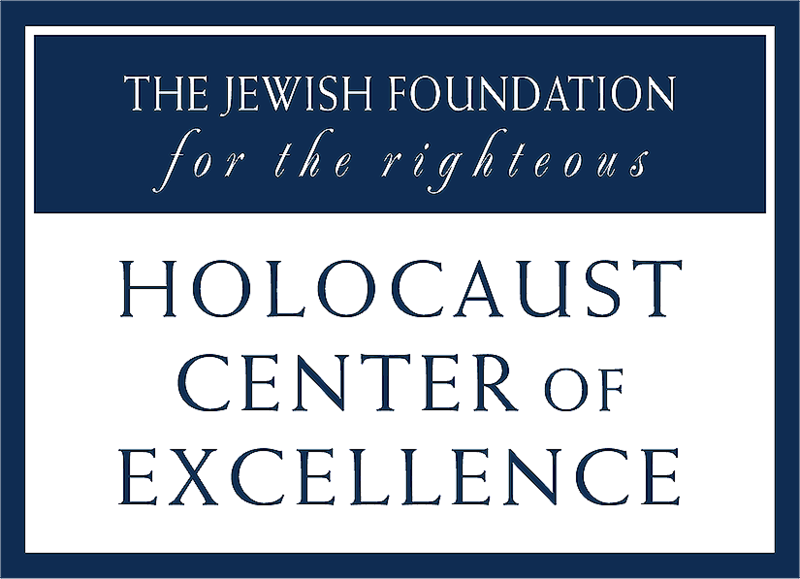 The Holocaust Centers of Excellence Program is a partnership between the JFR and the participating Holocaust center. In agreeing to participate in the program, each center receives two initial scholarships for the Summer Institute for Teachers and commits to nominating two educators each year thereafter. Additionally, each center agrees to sponsor Holocaust teacher education programs that draw on JFR materials and training models. The centers make a commitment to teach the Holocaust in as comprehensive a manner as possible and to include the subject of rescue. Teachers who attend JFR programs - known as Alfred Lerner Fellows - form a cadre of educators for each local center as well as for the JFR. The publication by JFR Voices and Views and the poster series on Rescue are currently being used by several schools in SC. For more info contact Emily Taylor (etaylor@lexington4.net). 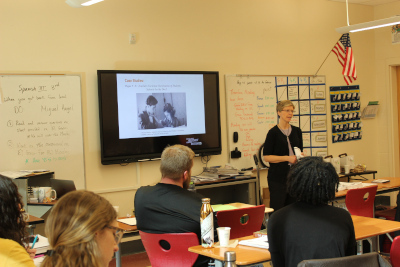 The JFR Summer Institute for Teachers examines the Holocaust from the precedents found in the history of antisemitism, to the rise of the Nazi party, the machinery of death, rescue, through to the aftermath of the Holocaust. The first Summer Institute for Teachers was held at Clark University in June 2000. Since June 2001, the Institute has been held at Columbia University in New York City during the last week in June. The program is a high-level, intensive academic seminar in which participants are exposed to Holocaust survivors such as Roman Kent and to noted Holocaust scholars including, Volker Berghahn, Debórah Dwork, Henry Feingold, Jeffrey Burds, Peter Hayes, Samuel Kassow, Harry Reicher, Nechama Tec, and Robert Jan van Pelt. The Institute is designed to allow participants to meet in small groups following each lecture. These small groups enable participants to share teaching concepts and to develop approaches to introducing the subject matter to their students. All participants selected to attend the JFR Summer Institute for Teachers are known as Alfred Lerner Fellows and must be nominated by one of the centers in our Holocaust Centers of Excellence Program. In order to participate in other JFR educational programs, a teacher must be an Alfred Lerner Fellow and have remained involved with their local Holocaust center. While there is a participant fee, the JFR provides each Lerner Fellow with a significant scholarship to attend the Summer Institute for Teachers. The program is a residential program – all participants stay on the Columbia University campus. Participants are expected to complete required readings prior to the start of the program. The JFR Summer Insitute for Teachers provides the foundation for other JFR education programs, such as the Advanced Seminar and European Study Program in Germany and Poland, which delve deeply into aspects of the Holocaust not covered by other Holocaust education programs. For more information of for an application, please contact Emily Taylor (etaylor@lexington4.net). 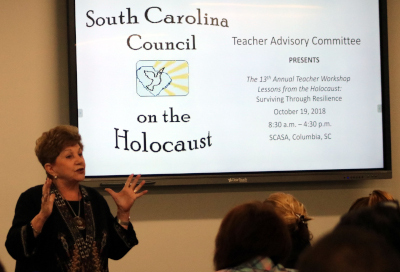 The South Carolina Council on the Holocaust Teacher Advisory Committee (TAC) consists of teachers, professors, educators who are committed to the idea that the Holocaust must be taught and that teachers must be trained to teach it. The purpose of the Committee is twofold: 1) to give voice to teacher experiences so that they can be incorporated into the planning of Council activities, and 2) to offer an intensive day of professional development each year that privileges the voices of Holocaust survivors. The committee was formed in 1997 by a group of teachers and Dr. Selden K. Smith. After a series of meetings, a yearly workshop, to be held in the center of the state, Columbia, was deemed the best way to reach teachers all over the state. The theme of the workshop is different each year; however, the TAC seeks to have a survivor or child of survivors as a keynote speaker each year. Previous speakers included: Marion Blumenthal Lazan, author of Four Perfect Pebbles, Eva Mozes Kor, who spoke on forgiving the Nazis, Morris Glass, who spoke of life in the ghettos and camps, and Joey Korn, who spoke of his father’s life during and after the war. In addition to the keynote speaker, the workshop offers sessions on specific lesson plans and concrete suggestions on how to teach the Holocaust. The workshop is held every October and is attended by teachers from all over the state. The committee is always looking for new people, new ideas, and new programs. If you would like to join or would like more information on the workshop, please contact Emily Taylor at scholocaustcouncil@gmail.com. PD offerings are offered at no charge. Contact Christine Beresniova for more information at cberesniova@scholocaustcouncil.org.